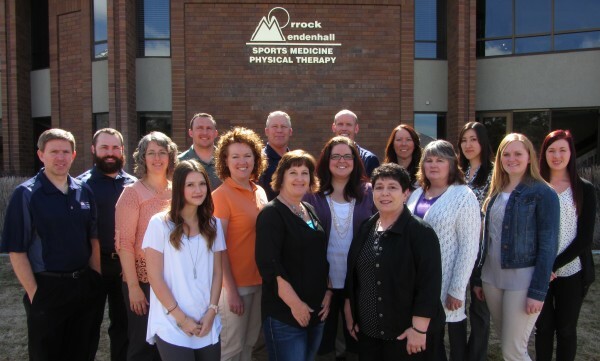 Orrock/Mendenhall Sports Medicine & Physical Therapy is a fun and energetic clinic dedicated to making you feel better! We treat every patient better than we ourselves would want to be treated. Co-owned since 1995 by Steven J. Orrock, MPT, ATC, and Wendell B. Mendenhall, MPT, we have a long history of successful and satisfied patients. Our approach to your treatment is first to listen to and understand your injury/condition from YOUR perspective, develop a treatment plan with YOUR goals, and to help you understand the nature of your injury/condition and assist you through the healing and strengthening process. We have exceptionally trained and motivated staff in each of our clinics that are eager and ready to assist you. We strive our hardest to make sure that each and every visit you make to our clinics is productive and positive. We know that you, as the consumer of our services, do and should have the highest expectations for care and treatment. We are dedicated to not only meeting those expectations, but exceeding them! Give us a call and let us start exceeding your expectations today!